A portion of this building is now available for lease. Primary tenant is Parkview Hospital. 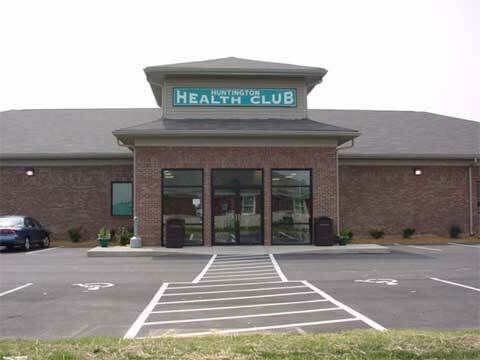 Huntington will soon have a new facility for anyone enjoying a good workout or a good tan. Ground was broken last week for the Huntington Health Club, a 9,756-square-foot facility to be constructed at 2806 Theater Ave., in the Northpoint Business Park. The health club should open around July 1, and starting April 15 residents can visit HuntingtonHealthClub.com for an online tour and for progress of the construction of the building. The owners of the facility are Aaron Stroup, Steve and Tina Sims, and Michael Thrift. Stroup said the goal is to build a customer base of local residents now having to travel to Fort Wayne to work out at a fitness gym. "We want to provide a nice environment for people to go work out," Stroup said. "This is something that should do well, and we're going to make a go of it." The Huntington Health Club will offer a variety of the most up to date weight training and cardiovascular equipment. There will also be classes offered in aerobics, Tae-Bo and American Tae Kwon Do. The business will also offer child care services. Another feature of the business will be 20 tanning beds. Steve and Tina Sims will close their Tan and Tone Tanning Salon at 9 E. Market St., and run the tanning bed portion of the Huntington Health Club. The facility will also have saunas and massage therapy. A contest is also being held to design a logo for the business. The winning entry will receive a year's paid membership. Entries can be submitted at Tan and Tone. Copyright © 1999 - 2018 Northpoint Group, Inc. Fort Wayne, IN 46814 USA All rights reserved.